With more than 30 years of commercial real estate expertise, Kelly Wilson specializes in landlord leasing as a senior vice president for Ackerman Retail. In a career that combines experience in retail leasing, hospitality and restaurant franchising, Kelly has worked on both the tenant and landlord/development sides of the retail sector, giving her a unique insight into the art of dealmaking. 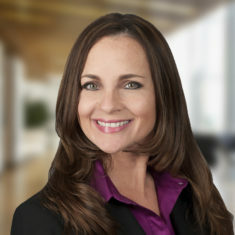 Kelly joined Ackerman Retail from The Windsor Realty Group, where she started the third-party landlord representation platform. Prior to that, she was a senior leasing manager at Lennar Commercial, where she directed the third-party leasing of a 3-million-square-foot portfolio of Class A lifestyle and power centers, including The Avenue lifestyle centers in East Cobb, West Cobb and Peachtree City in Georgia, and Viera in Florida.